The International Boarding & Pet Services Association (IBPSA) is proud to announce that Pet Care Business Basics is now part of IBPSA, reinforcing the professional trade association’s dedication to education and success in the pet care services industry. 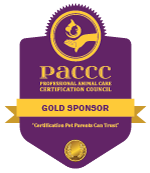 Pet Care Business Basics is a multi-session online course presented by leading pet care professionals. The course provides the essential business basics to ensure your pet care facility provides quality pet care based on a sound financial plan. Experts Robin Bennett, Susan Briggs, Al Locker, Suzanne Locker, and Gretchen Meienburg tackle all aspects of launching and maintaining a successful pet care facility from business plan to facility design, training to marketing. For the ultimate in convenience and accessibility, the Pet Care Business Basics course is available online and on-demand. The sessions are video presentations by the experts along with a 50-plus page supplemental handbook filled with tips, resources, checklists, and more. For more information, visit petcarebusinessbasics.com. The International Boarding and Pet Services Association (IBPSA) was established to foster and support the pet care services industry. The association provides training, education, products, trends, information, and legislative support to help its members succeed. 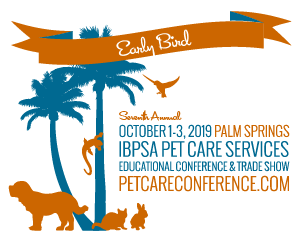 As part of its commitment to education and the business of pet care, IBPSA holds its Fourth Annual Pet Care Services Educational Conference & Trade Show, October 18-20, 2016, in Las Vegas. Speakers and sessions are dedicated to helping pet care services grow their business, plan for the future, and maintain personal balance. The association is also presenting two pre-conference workshops, Pricing For Profit and Pet First Aid & CPR. For more information on IBPSA and its upcoming conference, visit ibpsa.com.